Send a perfect gift to show how much you care about your significant other. 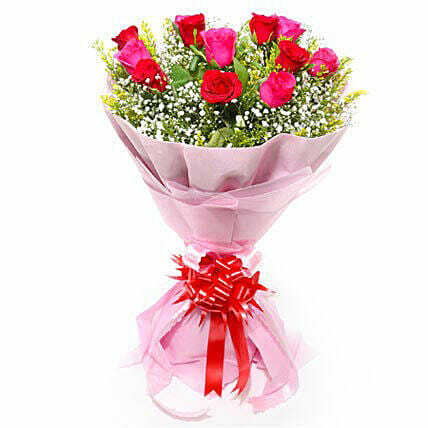 Express your feelings with this gorgeous and luscious flower bouquet of red and pink roses. Your loved one will feel out-of-the-world. Make your intentions clear with this romantic gesture. ï¿½If I had a flower for every time I thought of you ... I could walk through my garden forever.ï¿½ Alfred Tennyson Meaning of flowers: Red roses are the symbol of love and romance and pink roses are a symbol of thankfulness, admiration, and happiness.